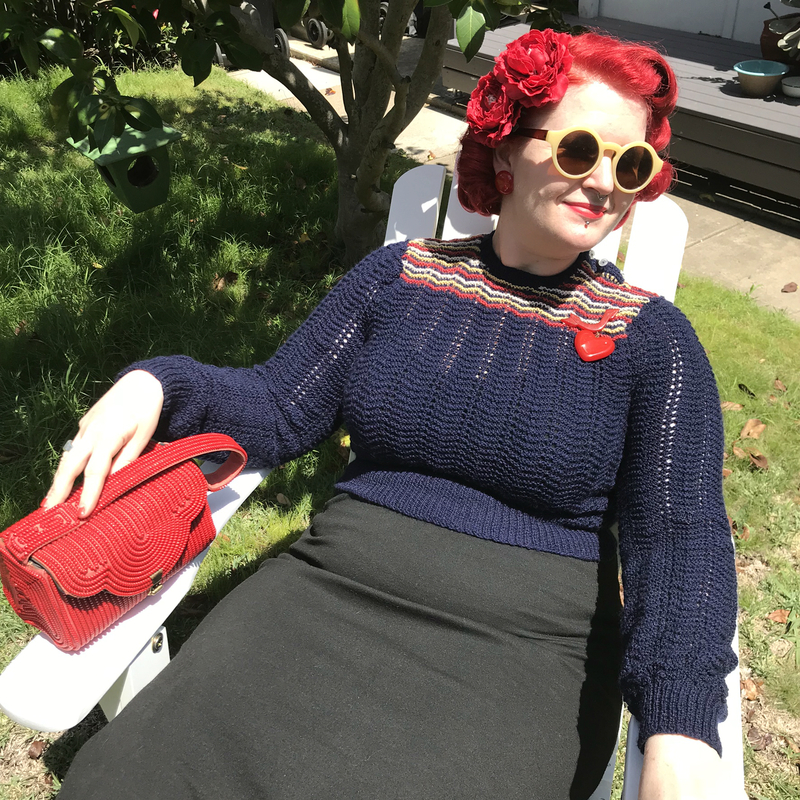 Thanks for being patient while I’ve been off studying and having adventures! 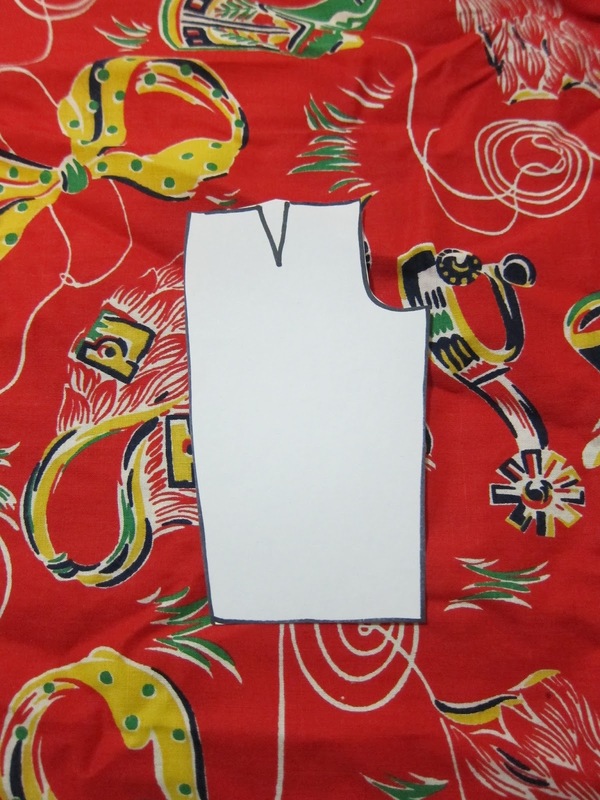 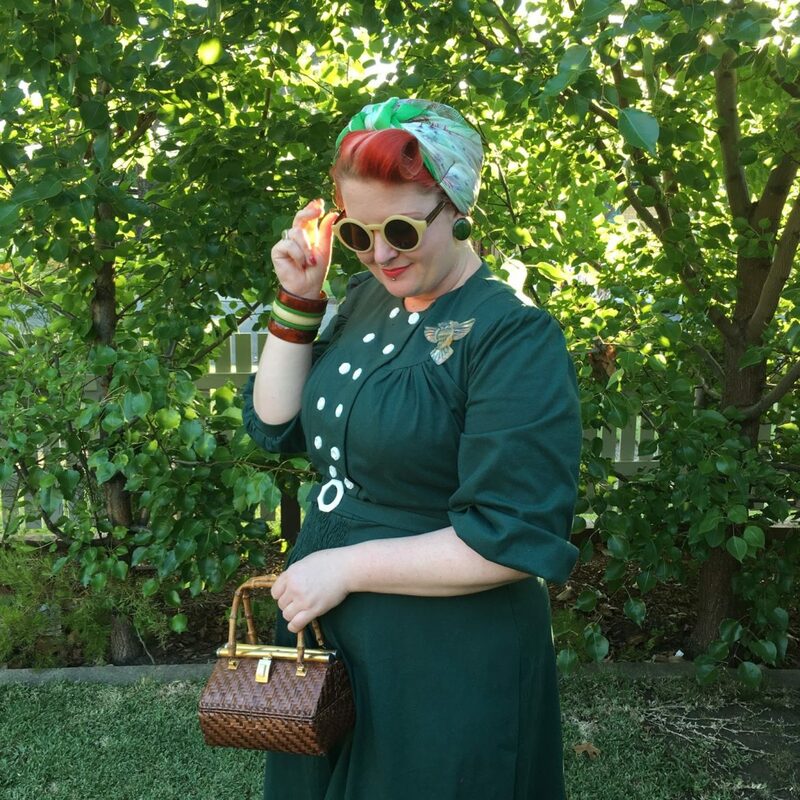 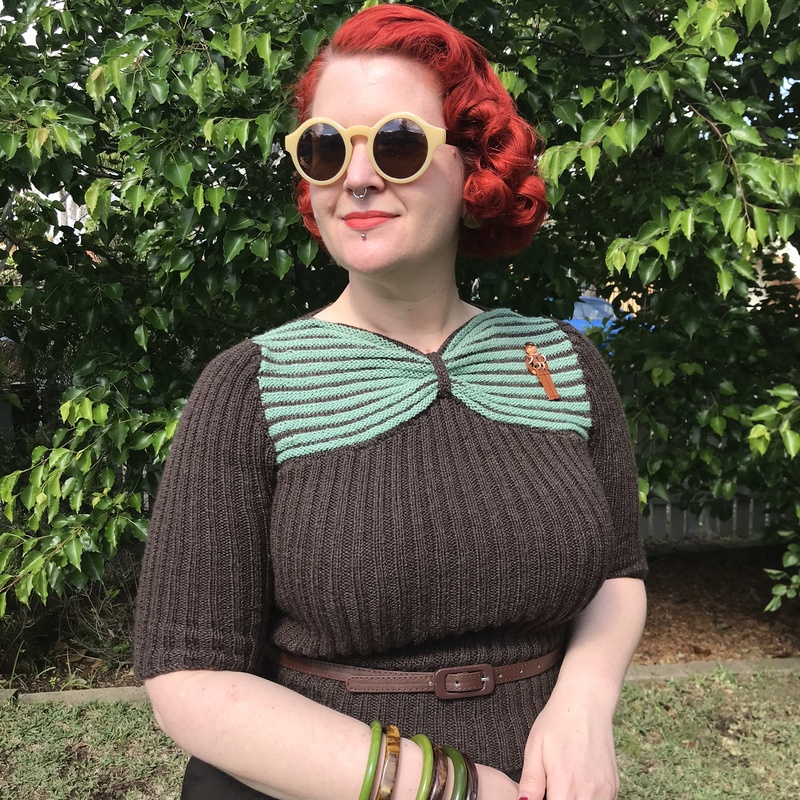 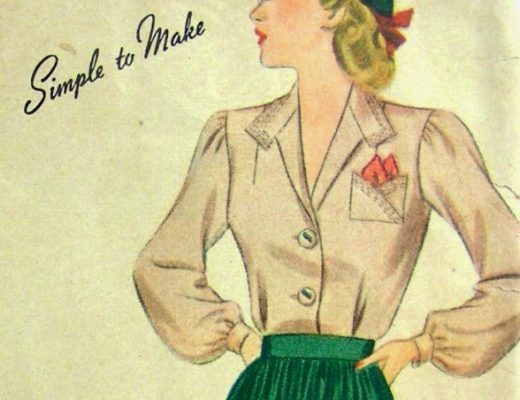 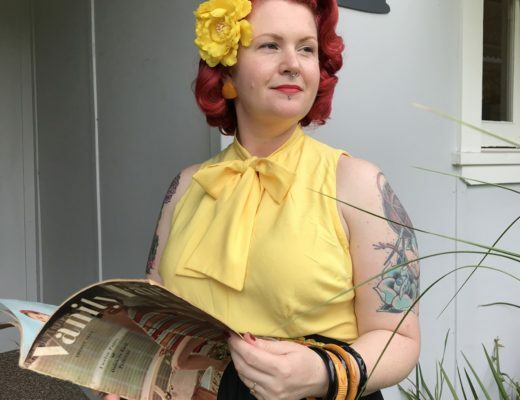 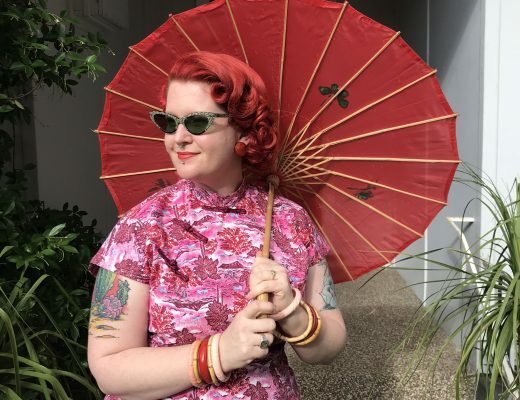 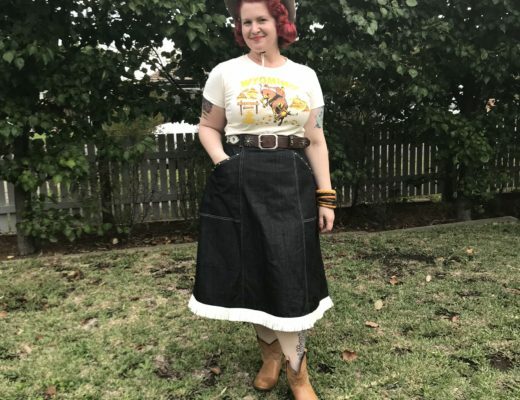 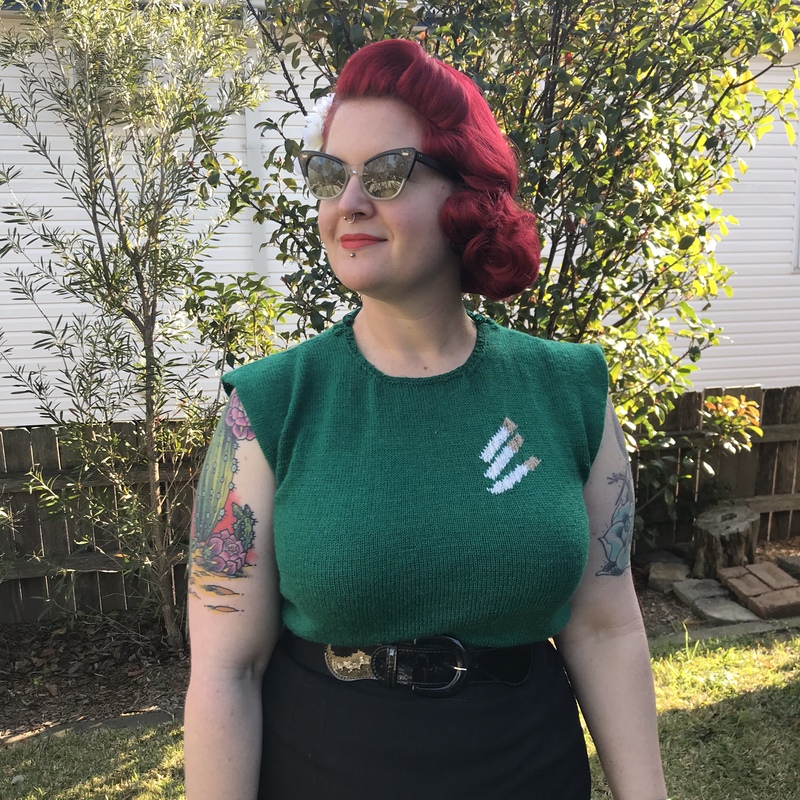 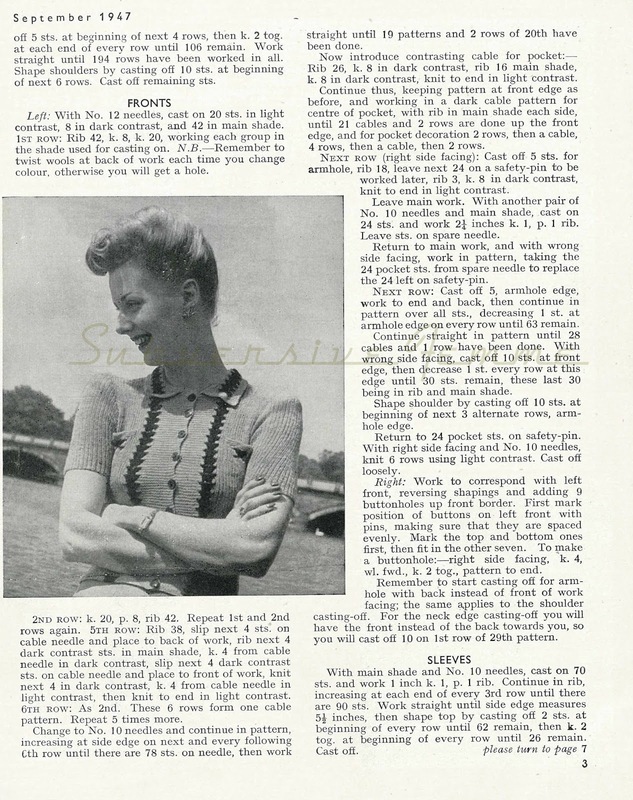 I do have some exciting news about a pattern grading project I’ve been working on – multi-sized sewing patterns based off original vintage patterns from the 1940s and 1950s. 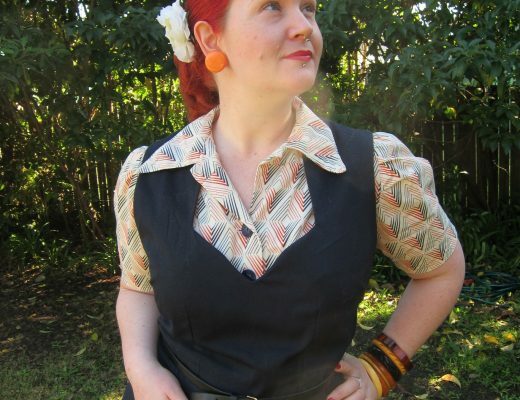 The Hawaiian tea-timer blouse is first up, so watch this space over the next few weeks to be first in on the news. 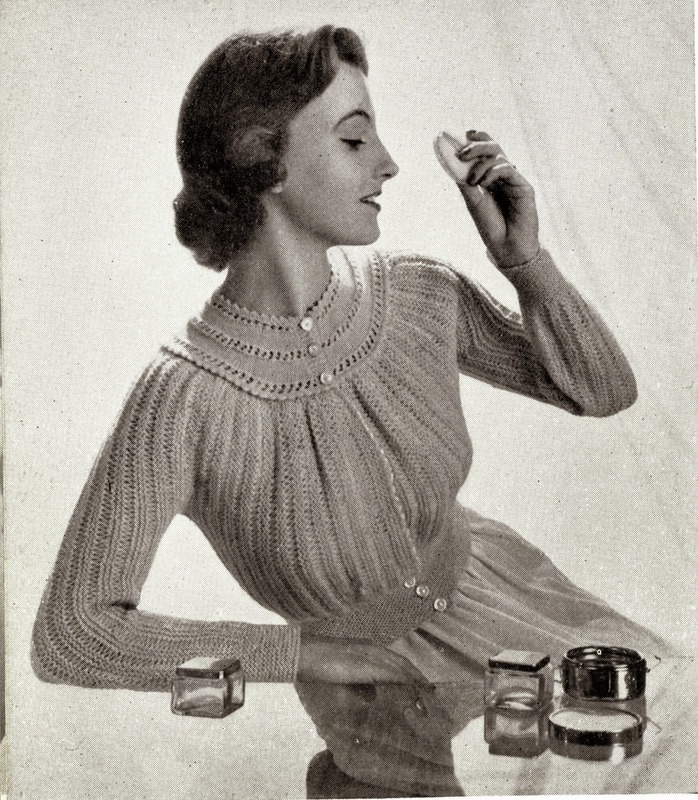 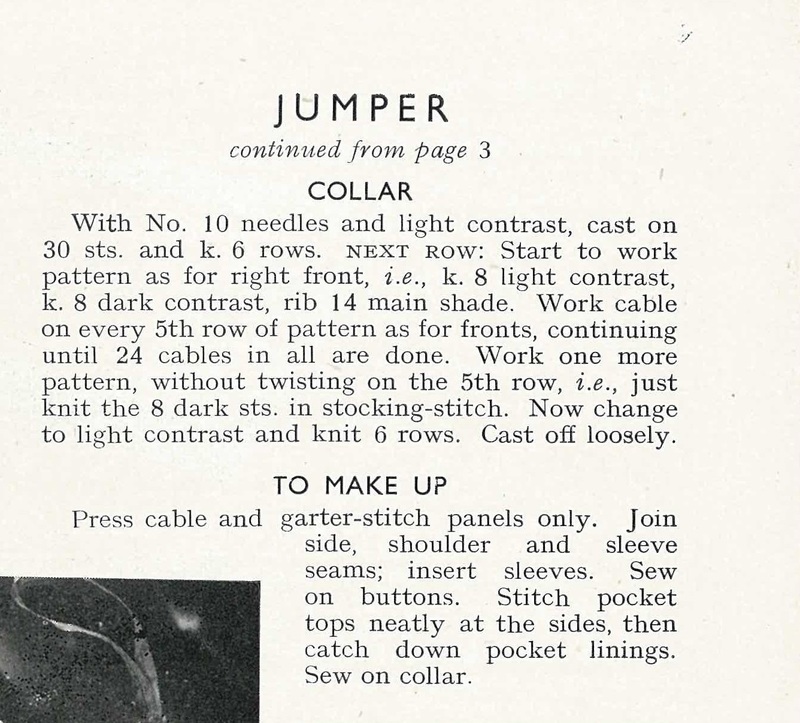 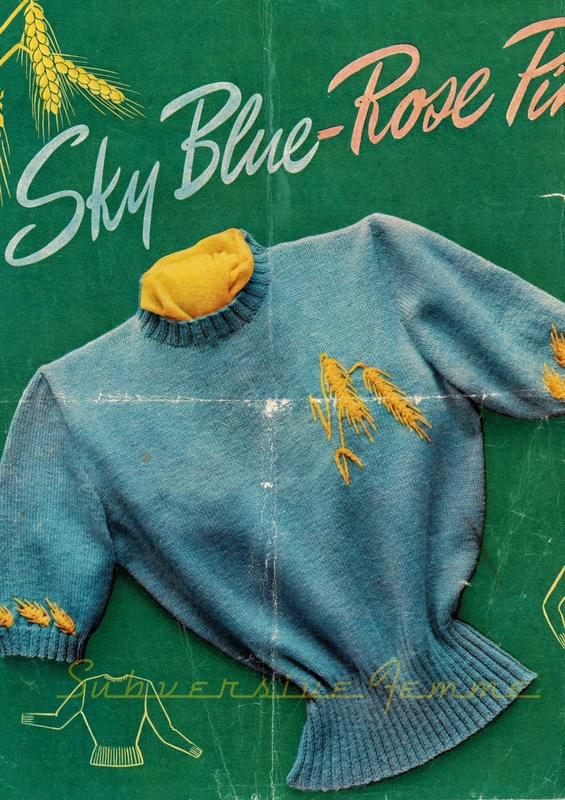 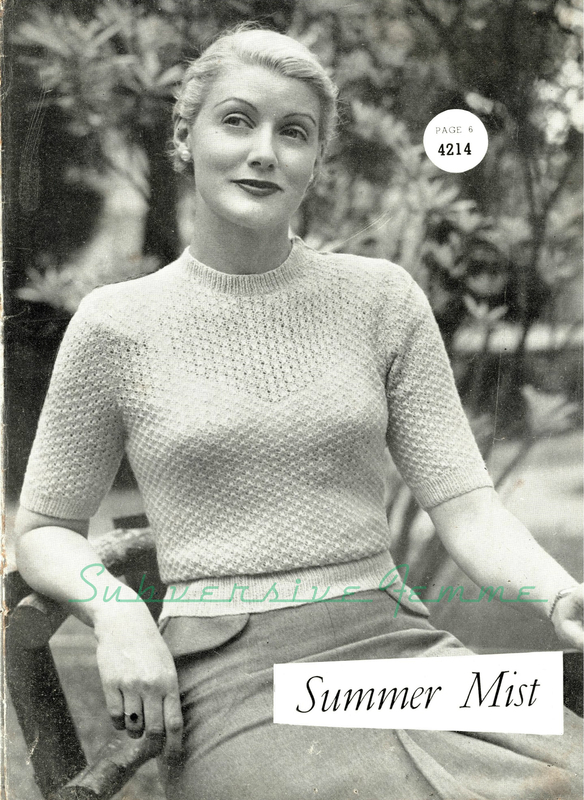 In the meantime, I was flicking through some old Stitchcraft Magazines and came across this really unusual cardigan from September 1947. 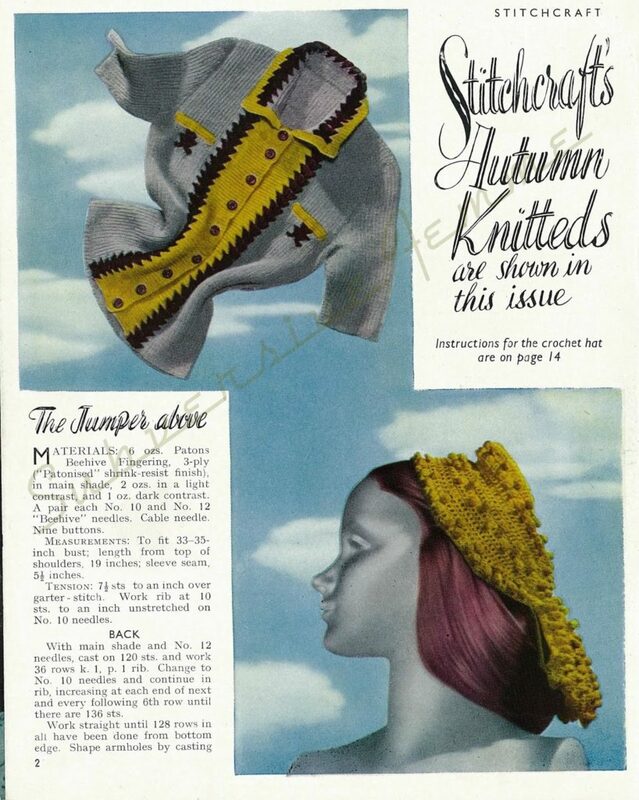 I really like the contrasting stitch patterns and the colours – chartreuse! 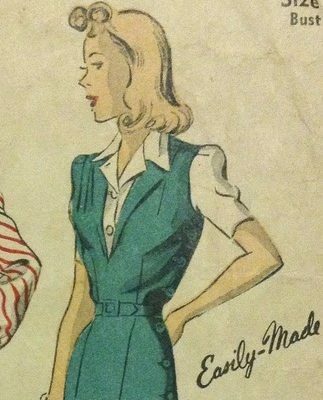 I hope you like it too.